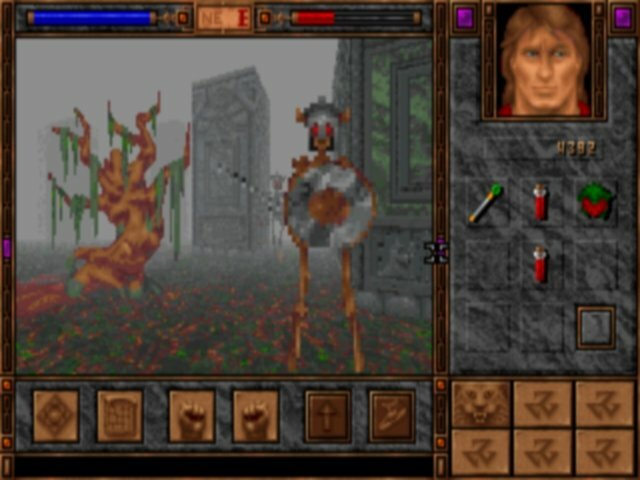 The early days of the dark fantasy shooter. A great trend in PC games is combining multiple genres to potentially yield something new and fresh. 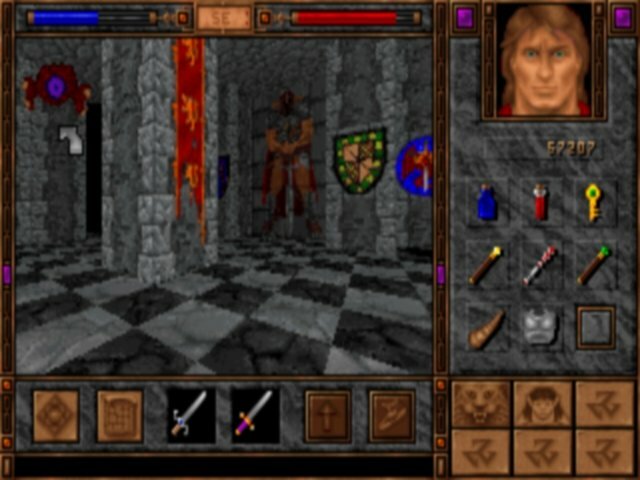 Inheriting a large amount of complex statistics, rules and numbers from its pen and paper ancestry, the 90s RPG often boasts confusing control systems that are hard to master. 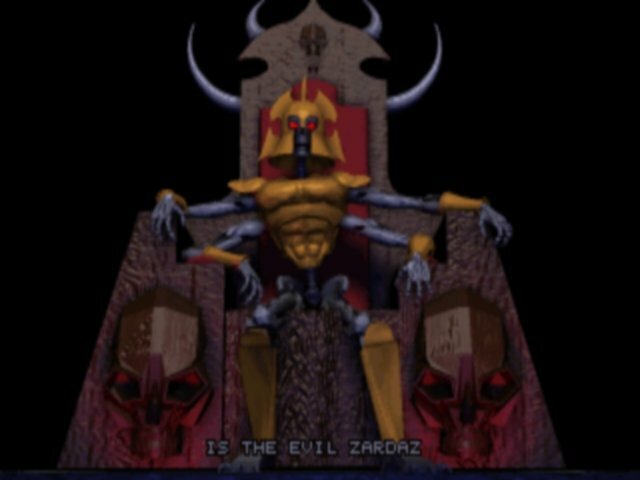 The response to this has been a move towards simplicity, the most extreme example of which is ShadowCaster. 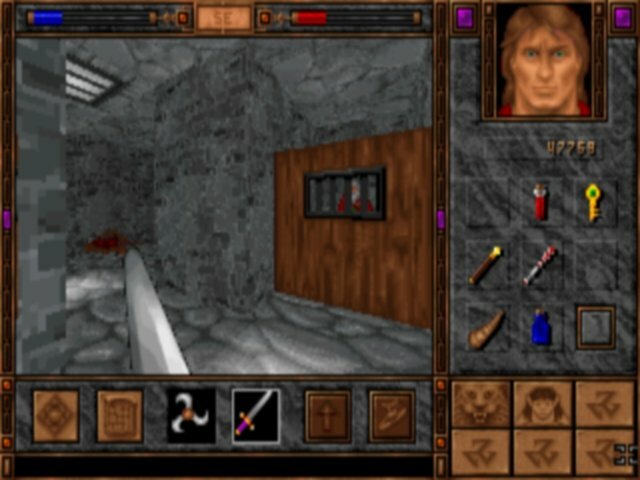 Something of a cross between an RPG and an FPS, ShadowCaster tries to show us that role-playing doesn’t have to be hard. 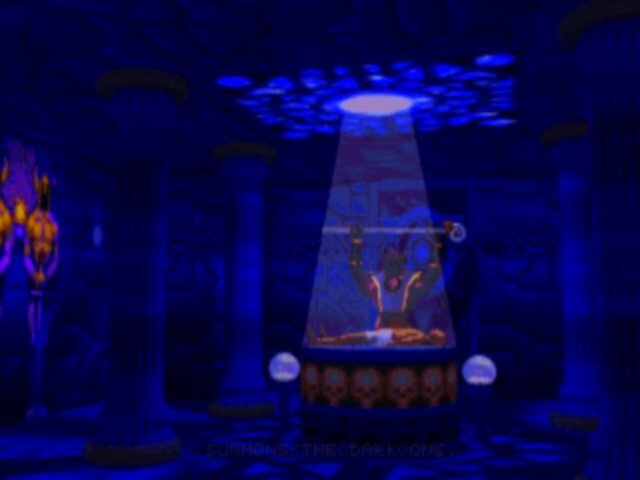 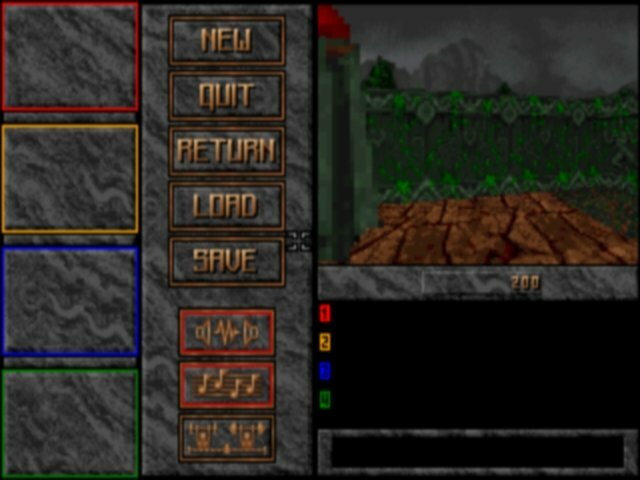 The scrolling engine is an odd breed between Wolfenstein (cubic levels) and Doom (nicely textured surfaces, atmospheric lighting, sky backdrop, etc.). 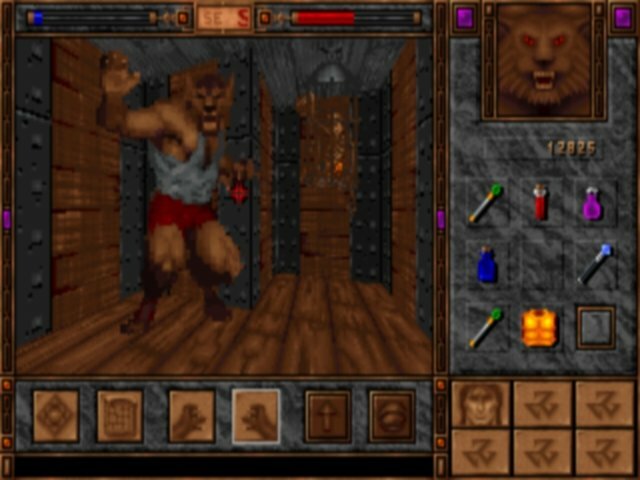 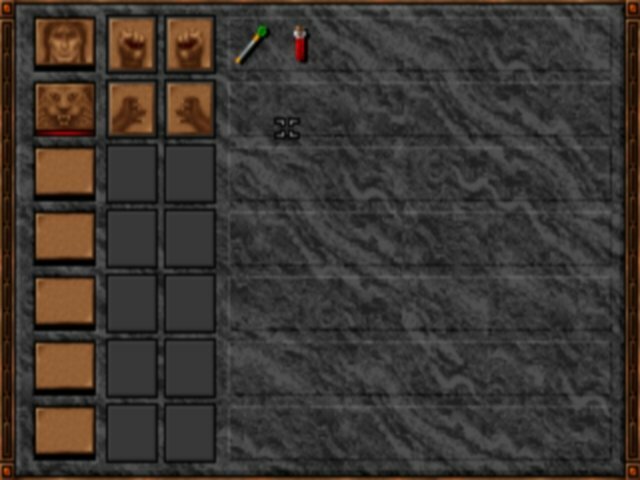 The gameplay is also more geared towards action than role-playing, with a particular emphasis on hand-to-hand combat and simple item scavenging. 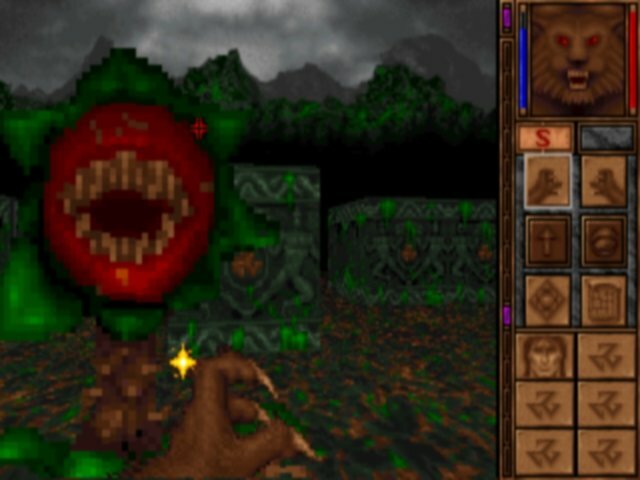 Though you’ll find the occasional scepter that gives you limited ranged attacks, the game is mostly a deal of getting upclose and personal with monsters. 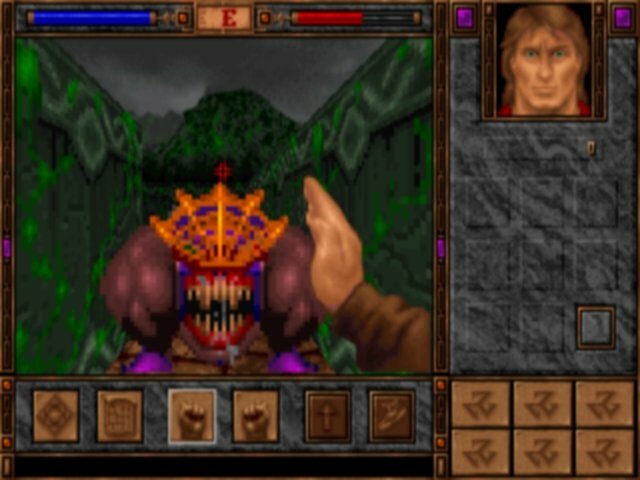 While there’s nothing inherently complex about the combat (it’s actually mind-numbingly simple), a few low points keep it from being very fun. 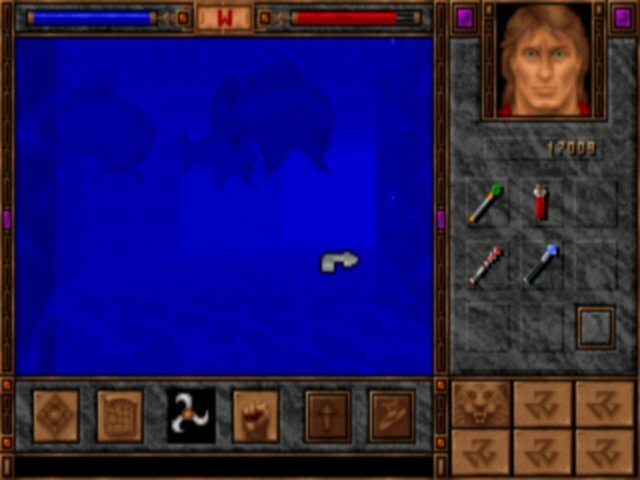 For one thing there are far too few potions scattered around, and so you must usually wait for your health to slowly regenerate. 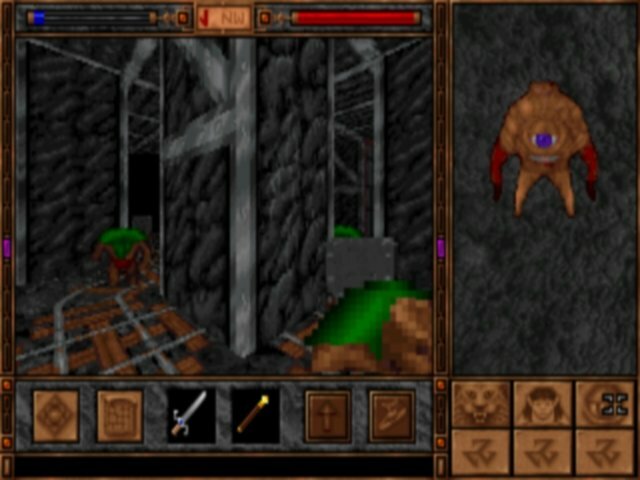 These flaws aside, you can definitely spot this game as an early iteration of the fantasy shooter. 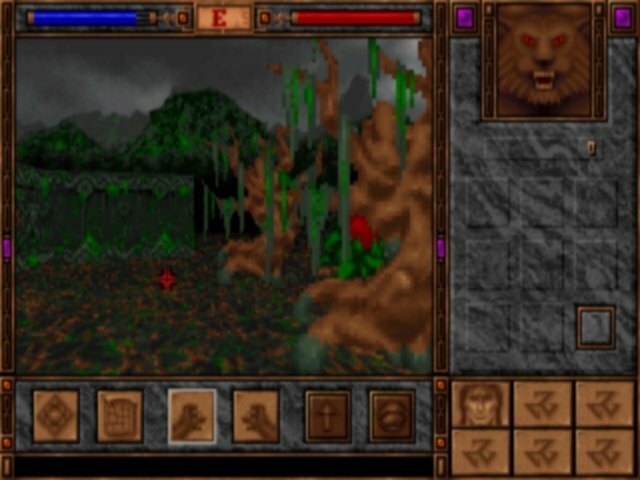 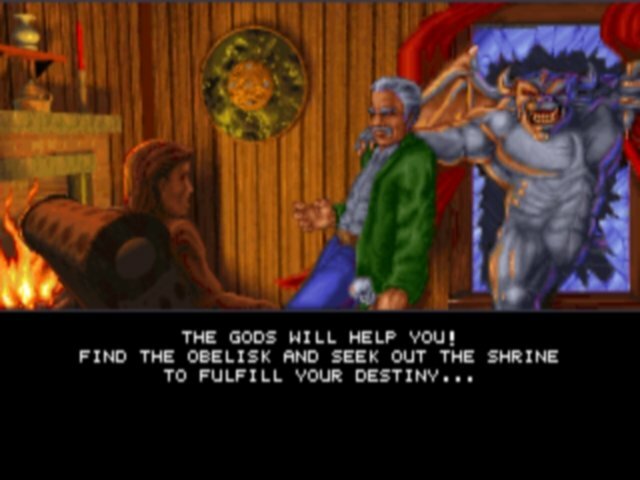 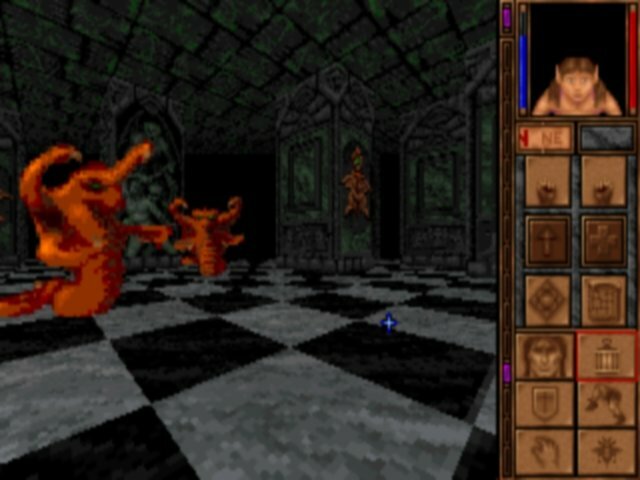 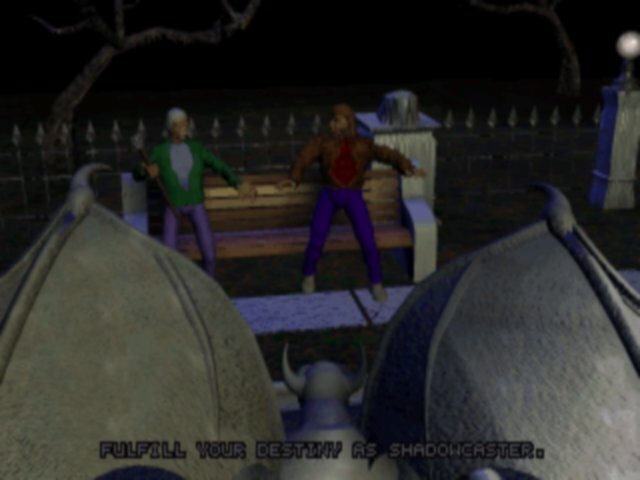 Raven would go on to make a fair share of these sort of games, and ShadowCaster is a great example of their early talent.